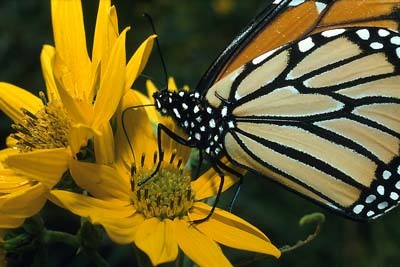 Monarchs gather every fall and then migrate up to 2000 miles to Mexico for the winter. The larvae feed on milkweed. Both adults and larvae are distasteful to birds and advertise this fact with their bright orange, black and white colors.